Researchers explore genetic engineering to produce super-tough fibers. 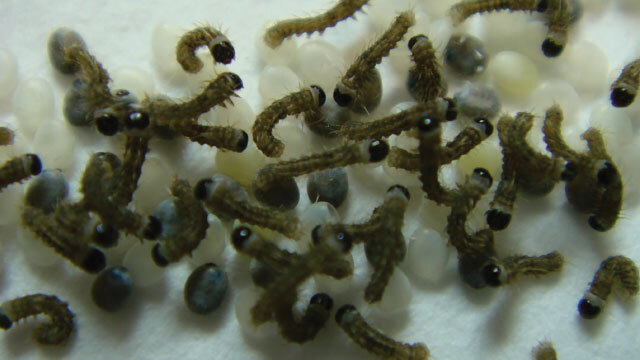 In Jon Rice’s office is a small incubator full of tiny insect eggs—one of many such incubators kept at Kraig Biocraft Laboratories (KBL), the Michigan-based polymer development company where Rice is chief operations officer. From these eggs will hatch tiny silkworms, caterpillars of the domesticated silk moth Bombyx mori, which will then set to chomping down on mulberry leaves and preparing themselves for the demanding task of spinning silk cocoons to pupate in just a few weeks later. The glow comes courtesy of a fluorescent protein used as a marker to confirm that several genes for spider-silk proteins have been successfully edited into the silkworm genome. Unlike regular domestic silkworms, which are reared in teeming millions around the world to spin fibers for use in clothing and furnishings, KBL’s stock is raised to produce what the company hopes may be one of the toughest fibers on earth. Combining strength comparable to that of steel with an elasticity per weight that rivals rubber’s, spider silks have some of the highest measures of toughness—a reflection of the energy needed to break the material—of any fiber out there, beating the sturdiest man-made fibers such as nylon or Kevlar several times over. 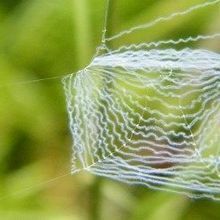 “Spider silk is unique,” Rice says. 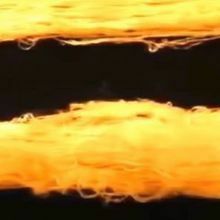 “We can’t recreate that synthetically.” Researchers have long touted uses for such a material in varied applications, including parachute cords, high-performance sportswear, and, thanks to spider silk’s unusual biocompatibility, suture thread. Consequently, the last few decades have seen multiple attempts to take live spiders out of the equation. At KBL, “we think the silkworm approach is the best way forward,” Rice says. 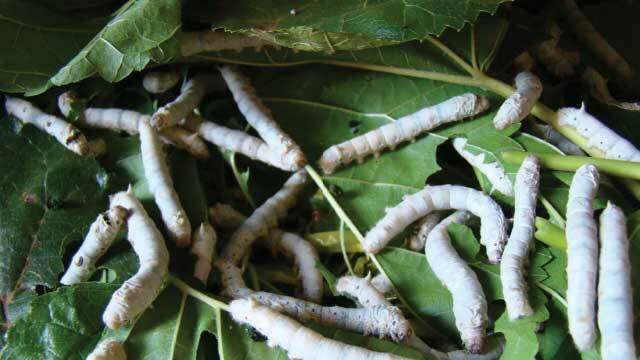 “Silkworms make silk. That aspect is fully understood. The only challenge we have is changing the recipe.” The company has created 20 transgenic lines of silkworms that spin cocoons containing spider silk proteins. Dragon Silk, one of the latest products made from the fibers of these cocoons, is stronger than steel and tougher, lighter, and more flexible than Kevlar (though it has slightly lower tensile strength than this synthetic fiber). The company now holds a million-dollar contract with the US Army, which is exploring possible uses in defensive clothing and other gear. Of course, without a spinning host, researchers have to spin the silk themselves. 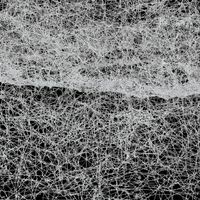 After tweaking the proportion of silk proteins expressed in E. coli, Scheibel’s group recently used wet-spinning—drawing fibers from silk proteins that have been allowed to self-assemble in a bath of water and alcohol—to make fibers with a toughness comparable to that of natural spider silk, albeit with lower tensile strength (Adv Mater, 27:2189-94, 2015). And earlier this year, Johansson, along with Karolinska Institute collaborator Anna Rising, published an approach that mimics pH changes in a spider through what Johansson calls “an almost embarrassingly simple setup.” After keeping a highly concentrated solution of E. coli–produced recombinant silk proteins at pH 7.5, “we pump it through a narrow capillary and out into a beaker filled with buffer solution at pH 5,” he says. “That turns it almost instantaneously into a silk fiber that we can reel up.” The result is the toughest artificial spider silk fiber so far (Nat Chem Biol, 13:262-64, 2017).